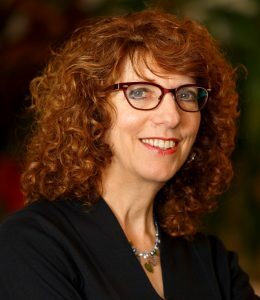 Donn a Seaman, Adult Books Editor, Booklist, was selected as the 2019 winner for the Louis Shores Award administered by the Collection Development and Evaluation Section of RUSA for her outstanding work in the reviewing of books and media; for the depth and breadth of experience she brings to her reviews; and for her skill in connecting readers with books. Donna Seaman’s contributions to the field of book reviewing have been undeniably outstanding both in breadth and depth. The many thousands of reviews she has written demonstrate her deep knowledge and experience. Whatever the genre, Donna will produce thoughtful, reflective reviews that dig deep and deliver remarkable insight in a tight, succinct package. Her work as an editor of book reviews has also been immensely valuable to innumerable Booklist readers, and the author interviews she has aired on WLUW’s Open Books Radio have brought her passion for books to the Chicago public as well. The selection committee includes: Julie Ann Murphy (Chair), Dena Heilik, Kaite Mediatore Stover, Sarah Barbara Watstein and Neal Wyatt.